Hi everyone and welcome back ……. Primer your canvas. An artist doesn’t just start slathering paint onto fresh canvas, just as a makeup artist doesn’t work on a surface that hasn’t been prepared. Prime the ares with the light concealer or foundation and a dusting of translucent powder to control oiliness and help set the colour. Apply a base shade. Pick a light dark, and a medium shade. It’s easier if they’re in the same colour family – like bone, taupe, and dark brown – but they don’t have to be. And bear in mind, if you are using multiple colours, powdered shadow is much easier to control because it layers and blends easily. Shade for contrast. the medium shade is the one that’s going to bring out the colour of your eyes, so look for a suitably contrasting shade. 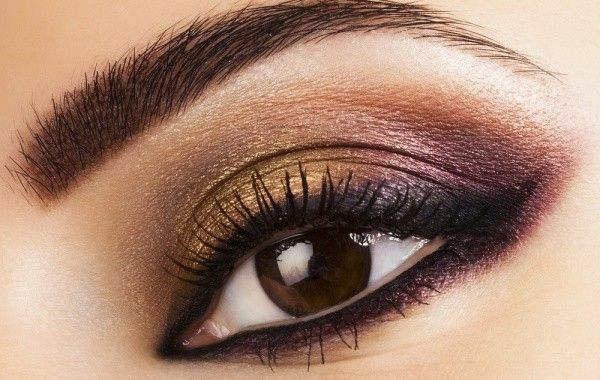 Green eyes will stand out when shades with browns and hint of red; blue eyes are complemented by purple shades. And brown eyes work with any colour. If the eye makeup you are planning is complicated, do your foundation afterwards. That way you don’t have to worry about stray flecks of glitter ruining your foundation. When working with a few colours, always start with the lightest shades first. Before applying shadow, always give the brush a little flick, or blow gently to remove excess powder. Blend well; you should never be able to tell where one colour begins and ends. Use a highlighter on any part of the eye area that you want to bring out. 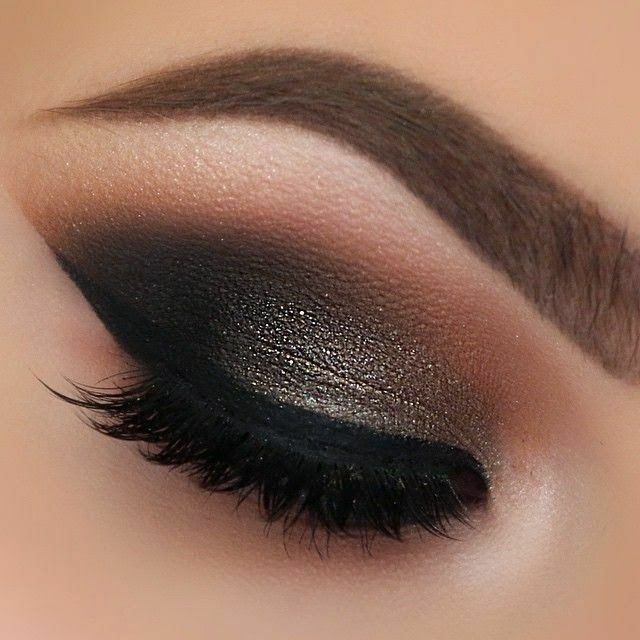 put a dot on the inner corner of the eye to make eyes look big and bright, and a dab under the arch of the brow to emphasize the brows, if necessary. Don’t over emphasize the brow bone; most time the absence of colour is enough of a highlight. I see many makeup artists using very pearlized or white shadows as highlighter and it really creates an artificial effect best avoided.